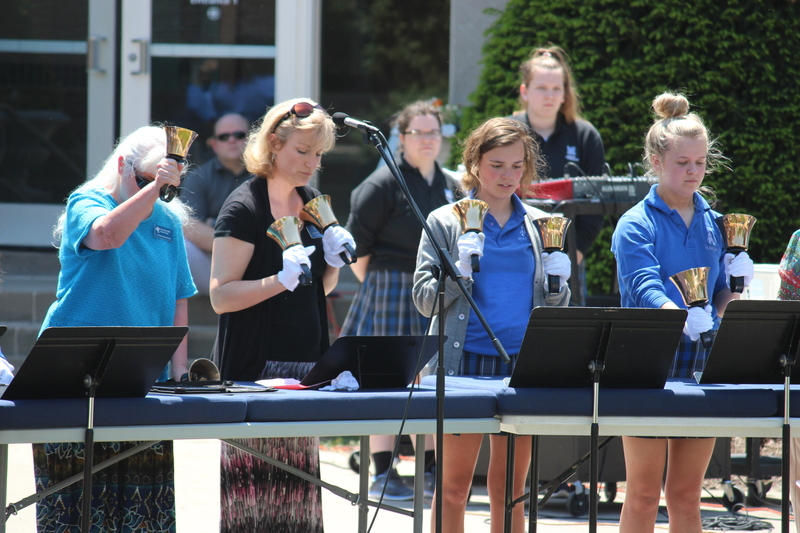 On Tuesday, May 9th Marian held its annual May Crowning event. 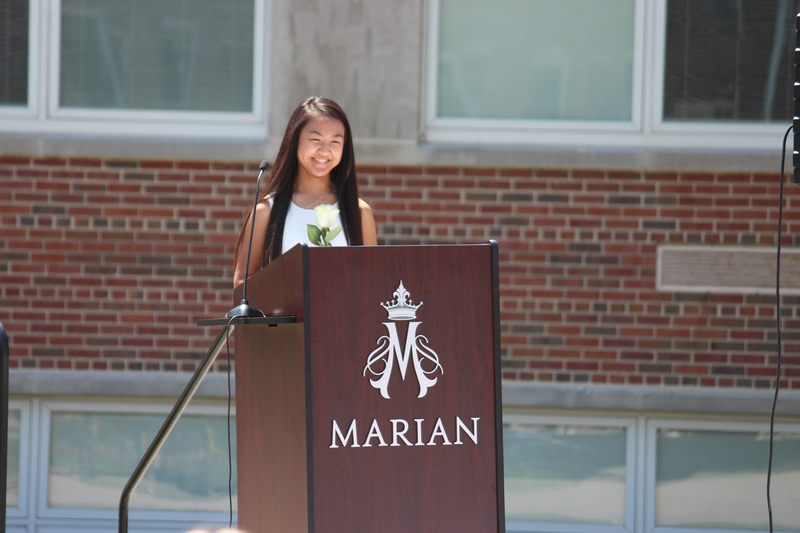 May Queen was Kaitlyn Baysa. Srs.  Joan Houtekier, OSM (Left) and M. Angeline Hakel, OSM(right white shirt) were 2 of 3 Sisters who performed with the Marian Bell players. 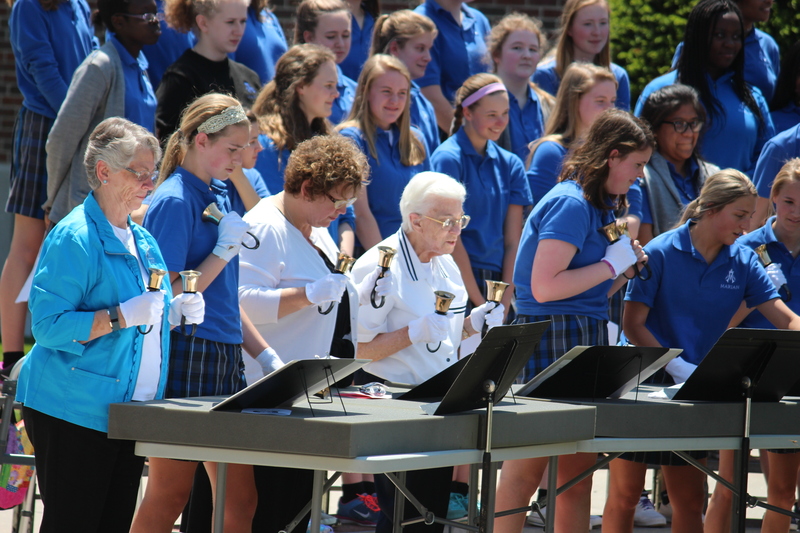 Sr. Linda Hess, OSM playing with the Marian Bell players. 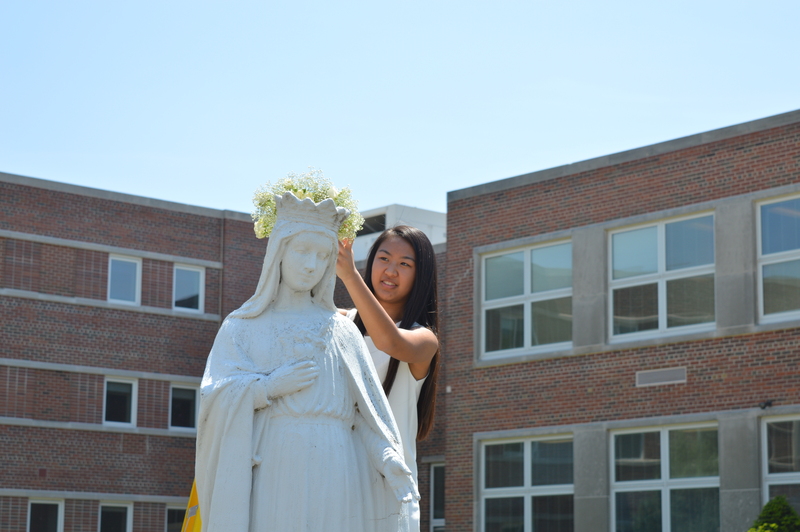 May Queen Kaitlyn Baysa placing the crown of flowers on Mary's head. May Queen Kaitlyn Baysa leading the second graders during the ceremony. 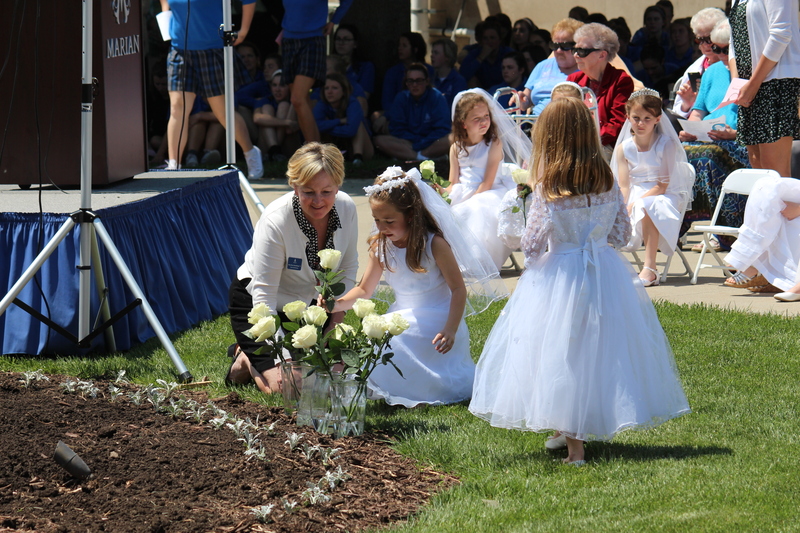 Second graders placed roses in front of the statue of Mary. 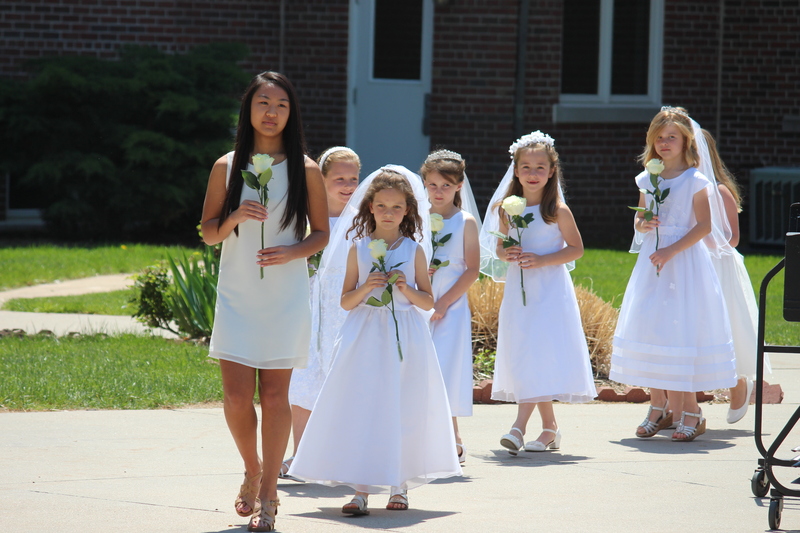 These second graders mother's or grandmother are alumnae of Marian High School, and they have either just received or are about to receive their first communion. 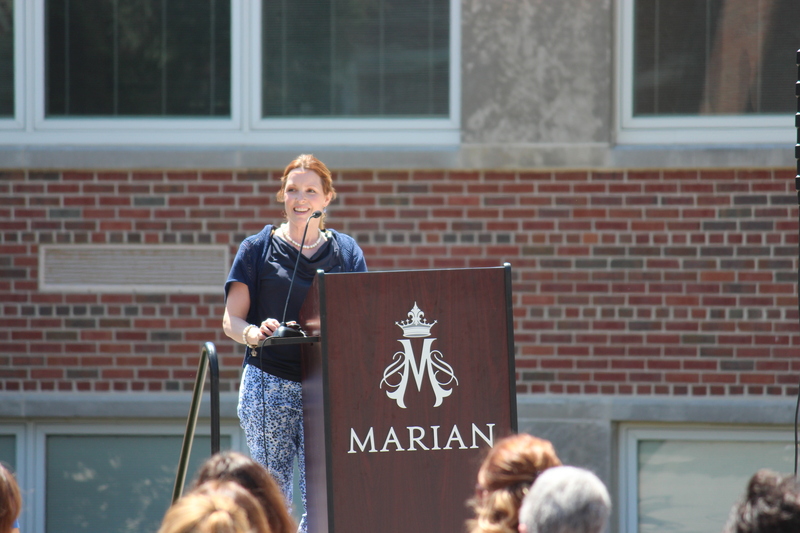 Anna Kolterman, Marian Campus Ministry, welcomes the guests to the May Crowning.